Jen from @thehappyhaku will be at Niu again for another lovely flower crown making class! Join us on Sunday May 19th from 11a - 1p to learn how to create your own beautiful lei po’o. $60/per with all materials & flowers included, as well as some yummy mimosas! 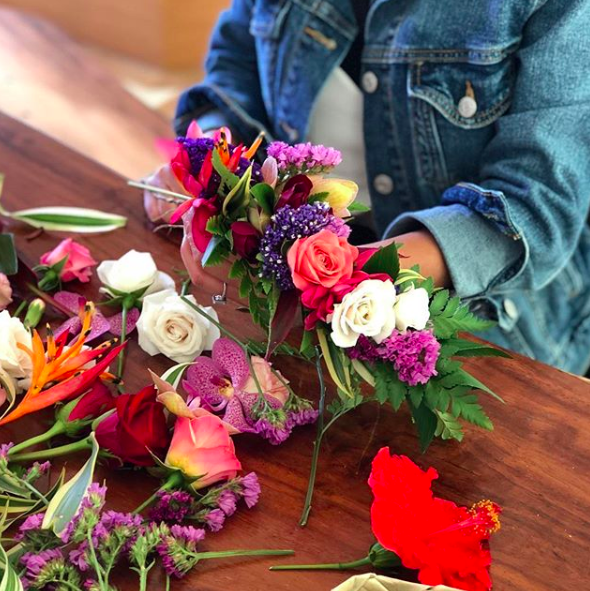 Class participants also get 15% off the entire store that morning, so you can shop with us after the class for a new outfit, then go to the North Shore for a fun photoshoot with your lei po’o! Payment must be made beforehand to secure reservation. Stop in or call us to save your spot before they fill up, or click the button below to sign up online! Limited seats available.